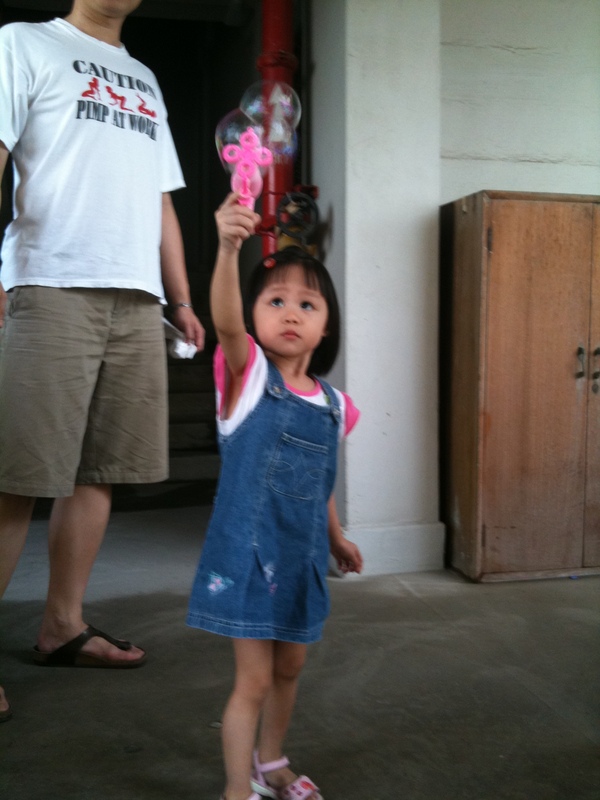 Was browsing a toy shop near Dear’s place while Dawn was sleeping soundly in her pram and this caught my eyes ..
A Bubble gun! 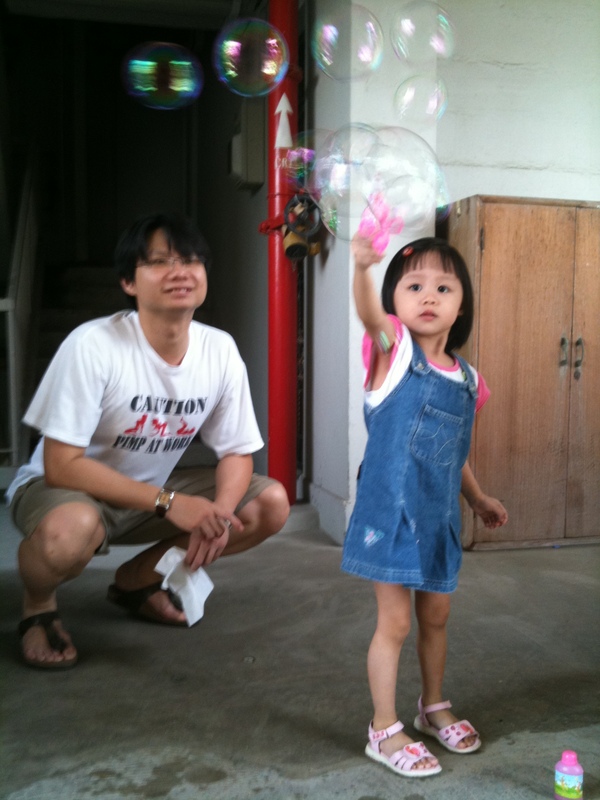 I had wanted to buy a bubble gun for Dawn because she had illustrated that the neighbour jie jie was playing with bubbles the other day. I know that we have to buy a bubble gun instead of those that need to use mouth to blow incase the soap water gets into her mouth. And look! 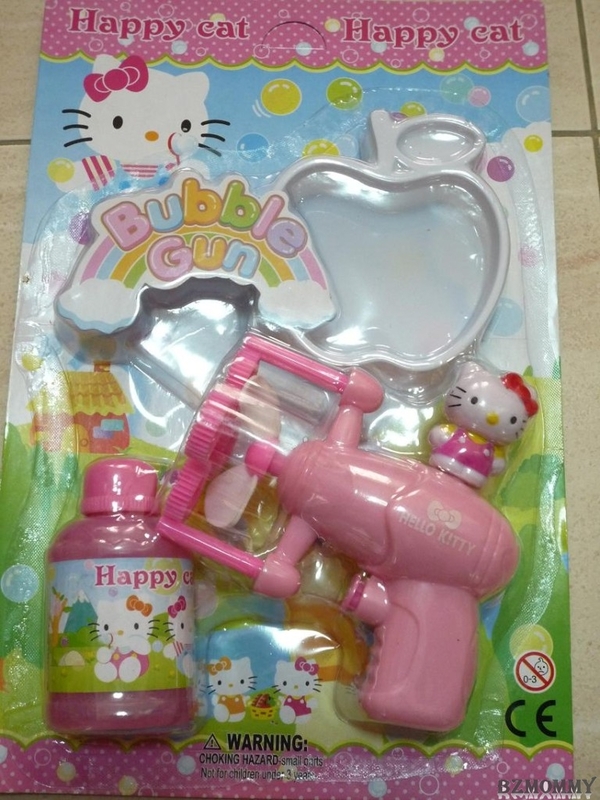 A Hello Kitty bubble gun! Dawn’s favourite! Guess how much is it? I must say that it’s a good buy! And Dawn gets real excited with the bubble gun. After demonstrating on how to play, she gets into her action! Then press the button on the gun! Tada! 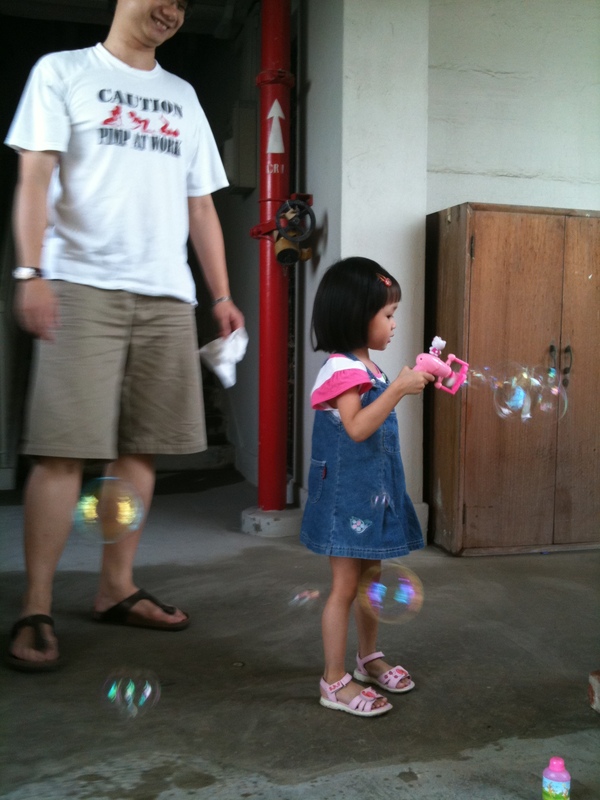 Bubbles!!! She loves it to the core and been talking about “I want Bubbles” ever since..but because this has to be a supervised play, I had kept the gun and soap water out of reach from Dawn and she plays only on the weekends. 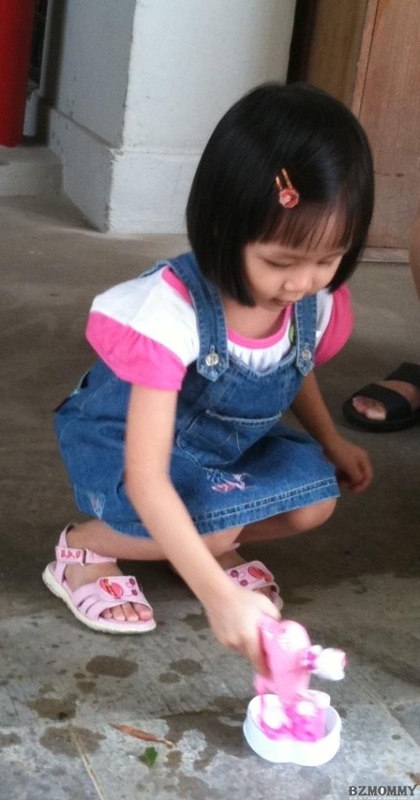 The small bottle of soap water had long finished and because papa and mama are both lazy people, instead of making our own soap water, we just bought a huge bottle of soap water from the toy shop again. 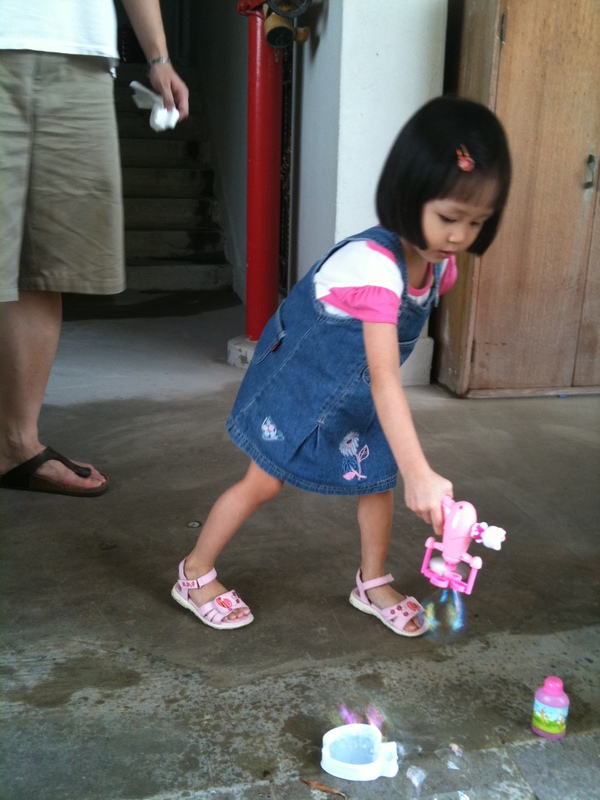 This entry was posted in Bzmommyhood, Dawn and tagged Dawn, Kids-Friendly Activities. ← I is for Ice-cream!